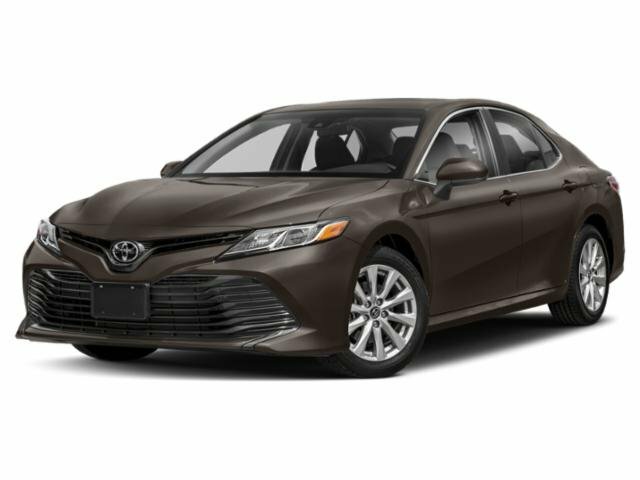 Explore the new 2019 Toyota Camry now! The new Toyota Camry offers a new shapely body that makes it quite the sight on the road. You can't miss the Camry with its bold front grille with a sporty mesh design. The new 2019 Toyota Camry offers features that bring drivers peace of mind. If you're looking for a new model that features ten trims and loads of interior systems, then stop by and test a Camry! The Camry L features Bi-LED combination headlights and an Entune 3.0 Audio System with an App Suite! Contact Landers Mclarty Toyota and see our current lineup of new Toyota vehicles for sale in Fayetteville, TN. Explore the new and improved Camry with its 10" Color Head-Up Display and new 2.5L 4-cylinder engine and improved V6 engine options today! You deserve a dynamic new Toyota model with advanced features. Learn how you can finance one in Fayetteville, TN. If you are excited about the independent MacPherson strut front suspension, now is the time to look into the all-new Camry. The Camry provides Tennessee drivers with an all-new direct shift 8-speed automatic transmission with a 3-mode drive select, which will provide the ultimate power source on the road. We would also like to mention that the new and improved Camry comes with ToyotaCare if you lease or purchase it from Lander McLarty Toyota. This is a free maintenance plan that will offer you perks like 24-Roadside Assistance for a significant amount of time. If you're interested in the benefits of the 2019 Camry, be sure to contact our team to learn more!